This piece appeared in The Big Issue in February 2015. I bought a video game and I built a little city. I planted parks, put up houses, laid down roads, assembled offices and power plants and hooked everyone up with electricity. Cars began pulsing through the streets, tax revenues poured in, and soon my little city became a larger one. It’s fun to be in control of an artificial world. I hadn’t played SimCity since the early 1990s, so when I read that the most recent version of the game had a homeless ‘problem’, I reckoned it would be interesting to see what the problem was and whether it was fixable. Maybe there was something I could offer – some policy or planning ideas to help ease the plight of the digital rough sleepers on the screen. Maybe, just maybe, by figuring out what worked (and what didn’t) in the world of the game, I could pick up some solutions to ease or prevent real-world homelessness. It would be an experiment in rough-sleeping reduction strategies. Anyway, SimCity’s homeless problem plays out as follows. When your city begins to grow, small groups of little yellow homeless people with yellow sacks start roaming through the streets. This is annoying because tax-paying residents complain their parks are being taken over. The yellow wanderers – who sleep in abandoned buildings and appear to live off rubbish – also have a tendency to start fires. Suggestions included bulldozing parks and abandoned buildings where ‘vagrants’ congregate, or picking up rubbish more quickly to deny them a food source. Some saw it as a police enforcement problem. Some saw it as a transport problem – how the homeless get access in, out and around the city. Others – prone to consider deeper economic factors – advised tinkering with lower tax rates and ensuring more jobs are made available near low-income neighbourhoods. Each person had a different understanding of cause and effect. Bittanti even wrote a book about it, How to Get Rid of the Homeless, and included many of the forum discussion threads. “I noticed that neoliberal values were dominant – these homeless people are losers, they are lazy, they are spoiling things, police should eradicate the problem and send them away. They were approaching the problem like they are zombies, always looking for a top-down solution to get rid of them. “On one level they were joking around but on another level I don’t think they’re joking around at all,” Bittanti added. “I actually lived in Silicon Valley for 11 years, and the tech community there exists in a bubble. It’s a place with incredible wealth inequality and it shocked me how much they were not engaged with the problems of extreme poverty around them. Sadly, there’s no silver bullet solution to homelessness found by playing SimCity. Speedy rubbish collection plus bulldozing empty buildings plus cutting tax rates to zero per cent in low-income areas seem to reduce yellow people numbers (within the laws of the game). Does the zero per cent tax rate offer the real world anything useful? I suppose the Liberal Democrats might claim they’ve taken the very lowest earners out of income tax already but homelessness certainly still exists in the UK today. SimCity does offer an important lesson about how people conceive of homelessness – how they mostly understand it as a series of unwelcome effects to be managed, and how little they consider original causes. Let’s jump back into the real world. Where better to examine how flesh-and-blood homeless people ‘come to be’ than Silicon Valley? This is the place SimCity’s publisher Electronic Arts is based, alongside wealthy and admired tech giants such as Google, Apple, eBay and Intel. It’s also the urban conurbation with the third-largest homeless population in the US, not far behind Los Angeles and New York City. Santa Clara county – encompassing the Silicon Valley cities of San Jose and Palo Alto – has the nation’s highest average household income, and most billionaires per capita in the United States. But it has also been home to America’s largest shanty town – a squalid place known as The Jungle. Until recently, the makeshift slum provided the starkest visual illustration of the vast chasm between rich and poor. Perhaps it was too illustratively stark for the county’s authorities. They cleared everyone out shortly before Christmas. Estimates suggest as many as 20,000 people will experience homelessness in Santa Clara county a year. Some Silicon Valley bloggers have written about their neighbourhoods being ‘overrun’ by the homeless. And when the digerati do engage with the problem, their ideas often involve tech-orientated ‘life-hacks’, such as giving homeless people laptops. Or, more controversially, hooking up homeless people as 4G hotspots at conferences (for the suggested donation of $2 per 15 minutes). About a third of the time, homelessness starts with job loss, and we’ve had a lot of job loss in Silicon ValleyI asked Wagner about myths and misconceptions, and why she thought homeless people had ‘come to be’ in her part of the world. “Well, this idea people are flocking here for the weather or the jobs? It’s just not true. About a third of the time, homelessness starts with job loss, and we’ve had a lot of job loss in Silicon Valleythrough bubbles and downturns and changes in the sector. In the United States, a key distinction is made between ‘chronic’ homelessness – the people who have spent many years out on the streets, where complex mental health problems have had time to mount – and others whose struggles have begun more recently. The prevalence of substance abuse, care-home upbringings and prison records among the ‘chronic’ population are all reminders that homelessness is more complex than there not being enough homes. But – Wagner reminds me – homeless people do not choose to become homeless. “We’ve learned that almost everybody has the ability to get rehoused and stayed housed, with the right support,” she said. “I’d say no more than three per cent of people are so traumatised or whose mental health problems are so severe that they have no ability to get back into society. The average median rent in Santa Clara county is now $2,321 (£1,518) a month. With the minimum wage only $10 an hour and so little affordable housing available, it’s no wonder The Jungle was home to people in full-time jobs. If you think about it, homelessness is a problem bound up with housing trends and free-market forces; welfare policy and the funding of services, job opportunities and lack of personal paperwork, childhood trauma, relationship break-downs and the demons of addiction. It involves politics, economics, sociology and psychology. No wonder it feels like such an almighty struggle to ease or prevent. Yet we cannot give in to gloom simply because there isn’t one grand, unifying solution. The existence of The Big Issue is testament to the fact there are new ways of thinking about creating opportunities for a fresh start. Very often it’s about time and energy rather than original ideas. Many people engaging with troubled souls with genuine compassion are helping change lives in small ways, day-in, day-out. 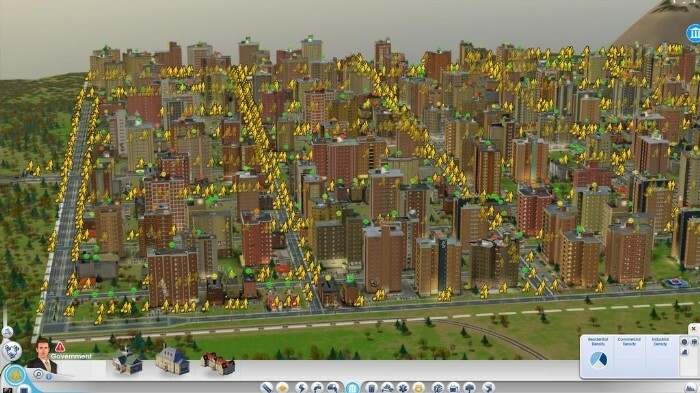 When I returned to SimCity and the player forums again, I found a sad reflection of real-life apathy – the terrible despondency whenever big problems are needlessly written off as intractable.